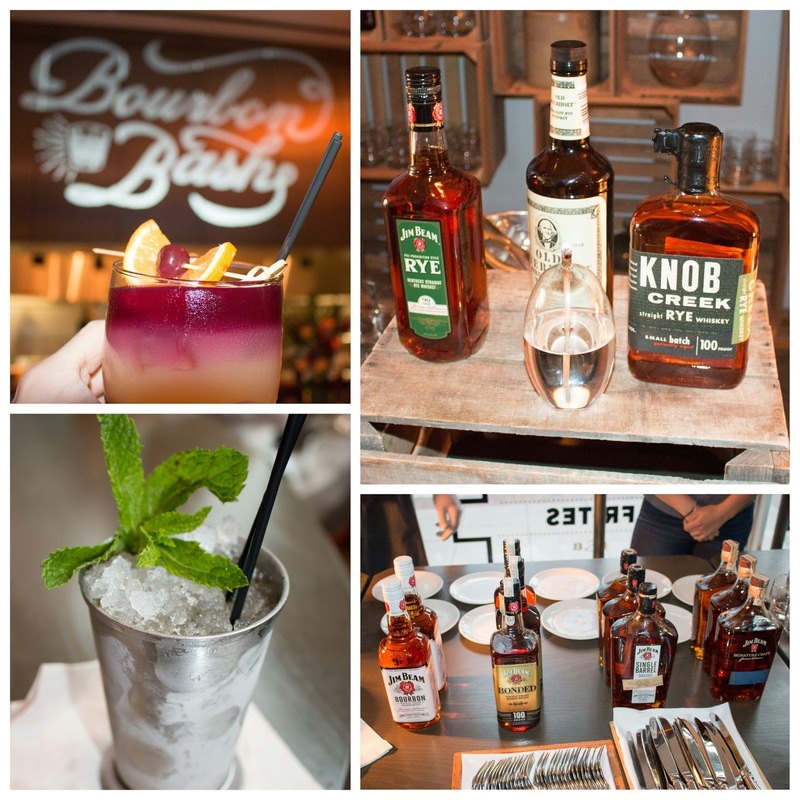 Last year's inaugural Bourbon Bash at Bank and Bourbon was clearly one of Philly's foodie highlights. 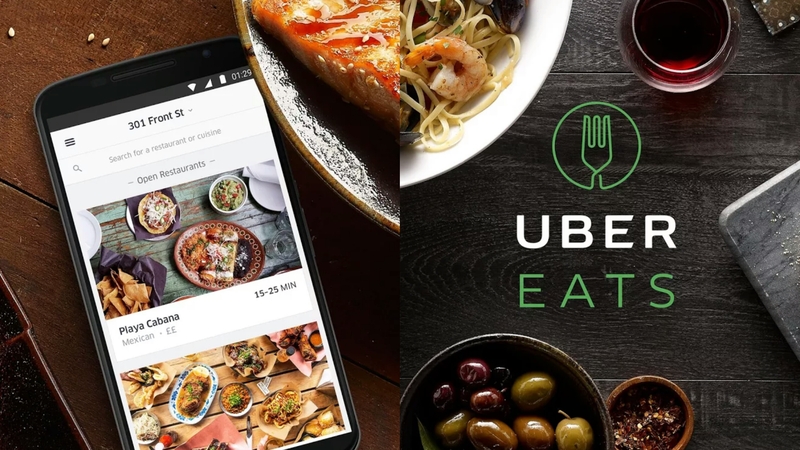 So there's no reason you would have missed out on this year's festivities at the Loews Hotel, right? Benefiting education through Donors Choose, tickets were an extremely reasonable $50 pp, with the organizers having a line of sight on surpassing last year's $35,000 total! 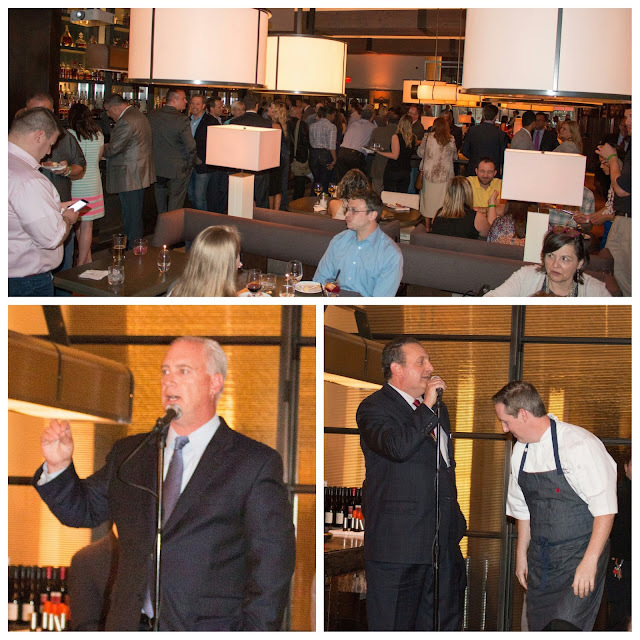 President & CEO of Loews Hotels, Kirk Kinsell was on hand, along with Executive Chef Thomas Harkins who was presenting highlights from Bank and Bourbon's lauded menu. Once again, drinks and sponsors were plentiful. Cocktails were switched up this year though. Whiskey sours were a-plenty along with a fun ode to the upcoming Kentucky Derby by way of a properly made Mint Julep. 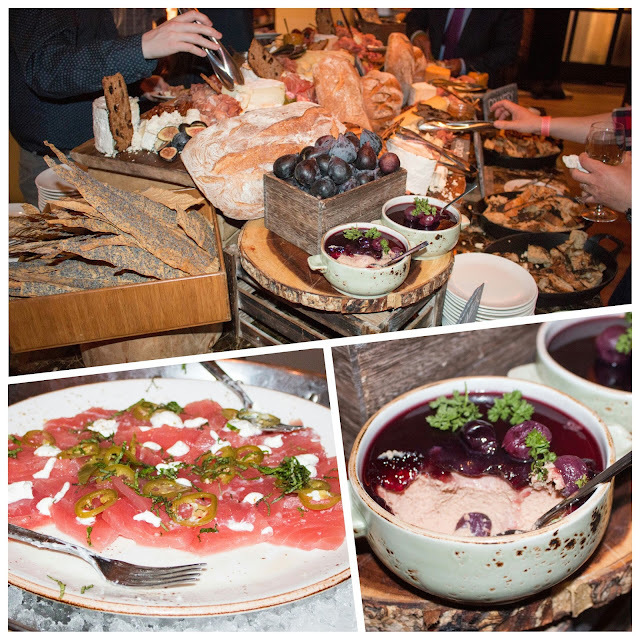 You should definitely start the night off at Bourbon Bash's charcuterie station, which thankfully made a reappearance! Charred bread, gorgeously silky chicken liver mousse, mounds of Benton's ham, huge hunks of Humboldt Fog cheese, and roasted figs ... pure heaven. Separately, there was also a station to indulge in oysters and Ahi tuna adorned with jalapeno and creme fraiche. Honey-brined Duroc pork chops were paired with spring-time vegetables. Dry-aged cowboy ribeye steaks were tender and went perfectly with mushrooms. 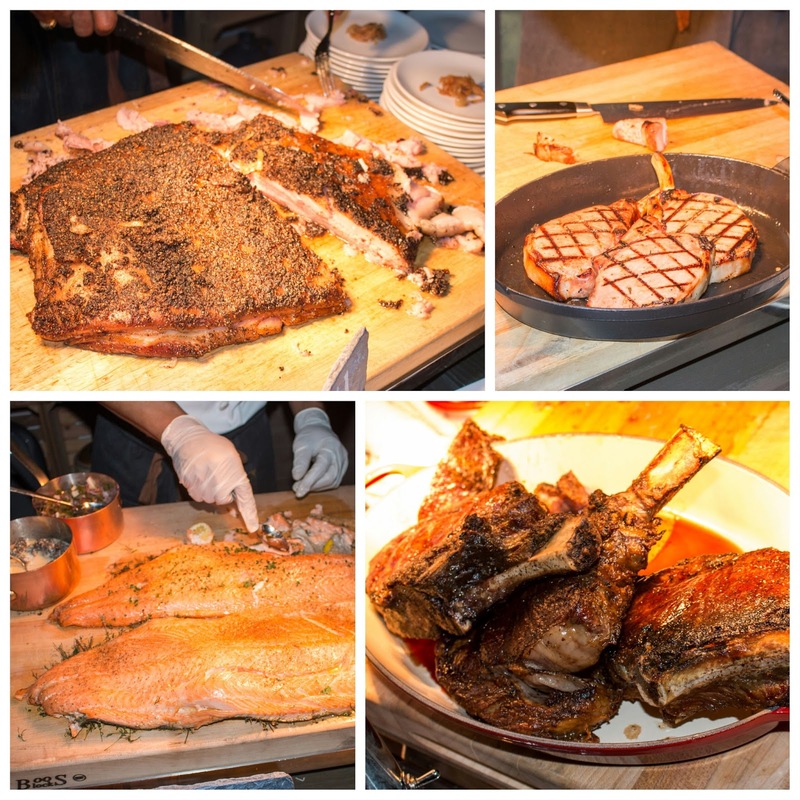 Moist Skuna Bay salmon was also on offer again and in place of the pastrami rubbed short rib from last year, pork belly took its place. Obviously, there were no complaints from me on this front! Incredibly tender, the pork belly simply melted in your mouth. Paired with caramelized onions and a homemade thousand island dressing, this was clearly what pastrami dreams of becoming. Amidst all the options, there's a reason why so many folks made a beeline for the dessert station. 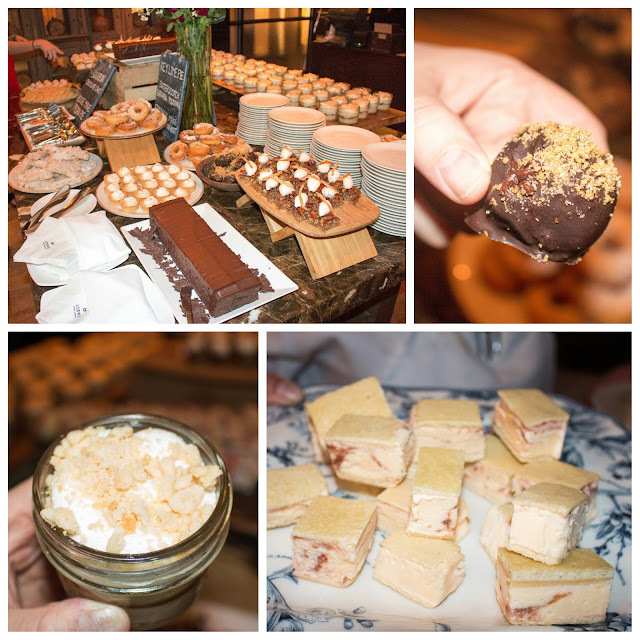 It was massively outfitted with chocolate cakes and truffles, pecan pie bites, homemade donuts, bourbon caramel banana cream pies, and cookies. I couldn't help but sample a few of the strawberry rhubarb shortbread ice cream sandwiches that were being passed around. A fitting bite (or three!) to end the night. Be sure to stop by Bank and Bourbon if you weren't able to make it to this year's bash. No reason to deny yourself great food, drink, and bourbons. I'd mark April 2017 on your calendars too! Judging by the success of the first two events, I don't doubt that a 3rd Bash will make its way back to the Loews Hotel in 2017. FTC Disclaimer: I attended as a guest of Loews Hotel. However, all opinions are my own, and therefore, unbiased.